AM – Member in the General Division of the Order of Australia, by the Governor-General His Excellency General the Honourable Sir Peter Cosgrove AK MC (Retd) for “significant service to the aviation industry both nationally and internationally, particularly for flight safety, and to the community”. I cant believe it that my hero replied to me. Dear richard, I watched the air crash investigation about Qf32. I just find it amazing how the worlds most congested airliner got flooded with errors. I can’t believe I am talking to my hero. I love you so much. I also want to be an emirates a380 pilot. Can you please tell me as to what are the requirments to be an Emirates a380 pilot. Sorry for the very late reply. It is an honour to talk to you. I can’t express so much how much I love you. Thank you my hero. Awaiting for your reply. Sorry for the long comment. Please read this page that I have produced about how to prepare for a career in aviation. You clearly have the passion. Now this is your time to execute. So YOU must find out the requirements to become a pilot in Emirates. YOU must do all the work to research the requirements and airlines. By definition this is NOT the advice that I or your parents should deliver. This research will be the start of your study into aviation that will persist for your working life. Good luck and best wishes for a fantastic career! As i progress through my RAAF application there is a constant emphasis on completing a calculus based maths course and although this is not an issue for me i am curious as to what kind of maths a RAAF pilot would actually use on a day to day basis. Imagine mathematics as sets of tools to design, build, repair and maintain things that can be measured. In this regard, the branches of maths are no more than separate tools such as screwdrivers, wrenches and hammers. Our ability to work with things depends upon the number of tools we have to maintain them. Aviators do not need the largest toolchest of tools (skills). Is coding desirable as you will actually need to apply it, or more as a way to learn and practice other logical skills such as algebra, boolean logic and statistics? build confidence, courage and skills to create, understand and work with computer software and hardware. 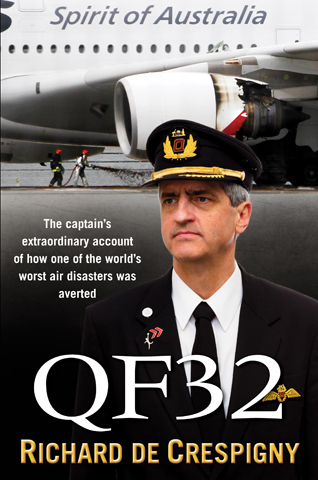 I just wanted to say that you are an incredible pilot; I have watched the documentary about QF32 and find it incredible. If I had to choose a pilot to fly me to my destination it would have to be you. Thank you Sarah for your kind words. Most pilots work as hard as I do to maintain their “lifetime of learning” to remain the best we can be and face the unexpected. QF32 was a team success and I’ll pass on your thanks to the QF32 team. Thank you. But rather than calling me a hero, I’d prefer that we agree that the 8 teams that made QF32 a successful failure were the heros. Our son was given your book as a birthday present, which I have also recently finished reading. What a truly amazing story! He has been learning to fly since he was 16 in a cessna 150, getting a love of flying from his grandfather who used to own and fly a Victor Air Tourer unil just a couple of years ago. He recently started his Diploma of Aviation at T.A.F.E and sadly, even though his flight instructors said he was a natural and gifted pilot, he struggled a bit with the theory side. T.A.F.E have just recently dropped him from the course because “they considered him a threat to their 90% pass rate”. This is very sad when we are crying out for more commercial pilots such as yourself. I am writing to you in the hope that you might be able to offer our son Daniel some words of encouragement in his endeavour to continue to follow his dream of becoming a commercaial pilot. I am sad to hear about Daniel’s set-back at TAFE. Your comment about the 90% pass rate is alarming and I would follow that up. Life is not easy, and the reward we get from a venture is proportional to the effort we put in. And failure is just a speed bump on our road to success. It’s not failure that defines us, rather how we respond to failure. So here is Daniel’s opportunity to excel. It’s important to pick yourself up after a failure, acknowledge your weaknesses, work on them and then push ahead and recover from the failure. To be resilient in any profession, you have to commit to being tough and competent. Daniel needs to believe and do this and through his actions eventually prove those examiners wrong! If this requires reading manuals ten, twenty or thirty times over, then so be it. I have had many failures in my life. The key is to know you are better than one event, then commit to improving. I know there can be growth from failure. The key is to follow your passion. But passion by itself is never enough. Most people are never given success, they must earn it. So Daniel must learn to EXECUTE. In other words he must do the hard things and persist even when times are tough to follow his passion and never give up. So my advice to Daniel is to either re-join TAFE or find other avenues to study aviation (there are many) and not to keep “trying”, but to keep “doing” with a firm conviction and determination that he will one day reach his goal. Daniel can become a pilot. The key is to never give up, never surrender. I wish Daniel every success and I am prepared to spur him on. When you both are next in Sydney, we could meet and discuss his plans. Please ask him to contact me. Since I was eleven years old I read several famous books like THE BIG CIRCUS from Pierre Closterman, THE FIRST AND THE LAST from Adolf Galland, the life of Gunther Rall written by somes aviation reporters, and many other…The last one I read about four times was… YOURS. I don’t know if you imagine the quantity of young people (girls and boys) that would try to fly one day because of your story. It’s not only the QF32 story with all the professionalism of Qantas I first use when I was 3 yrs old in 1969. Its especially your life, the story from the beginning with the love we can see in your family, your improving at school and after. The love from your Dad, your Mum, your second Mum, and your Wife and your daughter and son. This is something that should stay like a print in young people’s memory, because they often miss the Essential, the essential things in life that are Love, Realise your dreams in life and…common sense (in everything). I can’t imagine the quantity of people who told you they enjoyed your story… I don’t know if there is a way to say it differently in English, in French or in Spanish, but yes, I enjoyed reading from page 1 to the last one. And I was sad when I finished the book. this is all I can say about that. Receive all my Respect, please. Dear Remy, Thank you for your kind words. It is my privilege to motivate others to aspire to their own best, and it is my pleasure to receive letters from friends such as yours. I recently reread your book and I found something which confused me. On Pg. 182, you mentioned you checked the Tail camera and the camera mounted beside the main landing gear bay. What confused me was the fact that if the Fan Disk slashed the belly of the fuselage then wouldn’t the slash mark be visible on the camera? Correct me if I had mistaken. The the camera mounted centre and just forward of the main wheels has a narrow angle, and so would not provide views of our fuselage damage. Would the aircraft have been able to fly on autopilot after the uncontained engine failure if Propulsion Controlled Aircraft control system was integrated into the A380, or would the other failures rendered a Propulsion Controlled Aircraft system somewhat useless? UA232 and DHL Express are exemplar examples for aspiring PCAs. The challenges for PCA are enormous especially when multiple complex systems fail (QF32). Also remember if you build it, you have to train it. Training a pilot to conduct PCA operations for all the options would be a mammoth challenge. This is the reasons why manufacturers are loath to add complexity that add costs, complexity or additional failure modes. (This was the reason Airbus did not integrated the Armstrong Spiral into their FMSs). Ultimately it comes down to risk. Events of a probability of fewer than 10^-9 are not considered in aviation. You are thousands of times more likely to have a preventable death in a hospital than in a commercial aircraft. Military fighter jets have a great capacity to reconfigure for battle damage. I remember seeing an F/A-18 fighter at Williamtown AFB in the mid 1980s that landed with half a wing missing after a mid-air collision during a dogfight (the Sidewinder of one F/A-18 cut through the wing off the other F/A-18). If you wish to review more about PCA then please refer to the March 2017 edition of the The Aeronautical Journal of the RAeS that has a 31 page chapter starting at page 341 titled, “Reconfigurable Dynamic Control Allocation for Aircraft with actuator failures”. Given the events of UAL 232, JAL 123, DHL attempted shootdown, KAL 007 (flew several minutes without hydraulics before crashing), THY 981, BKL 130… loss of three hydraulic systems is not unthinkable. NASA was able to develop the program and an MD-11 landed normally (no damage to the aircraft), Software prevented complex phugoids. Usually after a few accidents changes in design are made (like the DC-10 after AAL 96 & THY 981) Would PCA on an A380 be worth it considering the potential for the worst aviation disaster of all time if crash? (Given capacity of aircraft) Would it be logical on other major new airliners like the A350 and 787? Thanks for a great flight from Dubai to Sydney on the 16th of April. You are a great captain and I remember that you came out of the cockpit and walked around the cabin talking to passengers during our meal time. Always remembering your great job to land QF32 safely. You are true legend ..! My husband, Milo, and I had the privilege of flying with you from London to Dubai on the 6th February 2017. 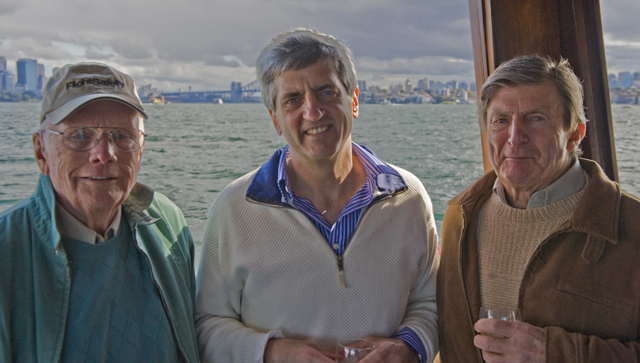 We thought your go around added another bit of de Crespigny skill to the flight! Thanks for your care in getting us safely to our destination. I’m glad you share our passion flying our wonderful A380s. First Officer Anthony Gill did an excellent job flying the Go Around at Dubai, that started from 300 feet above the ground. Go Arounds are extremely busy events with lots happening inside and outside the cockpit. Go Arounds are historically the most miss-managed events in aviation – mixing too much (maximum) engine thrust with too little aircraft weight, fatigue and a massive dose of the startle (surprise) effect during the most busy phase of flight. Many things can (and do) go wrong. In our case, we had to go around because the previous aircraft in front of us was too slow vacating the runway. Be prepared. Expect the unexpected. We were prepared. Anthony had mitigated for a Go Around one hour before the approach. We briefed then “armchair flew” the Go Around during our briefing before the top of descent. Anthony also called for a silent “Go Around” review two minutes before the event. Anthony was prepared when the air traffic controller called (very loudly) “[callsign] GO AROUND!” Anthony remained calm and flew the aircraft deliberately, smoothly and accurately. There was no startle effect. This is an example of threat and risk management, “chronic unease”, decision making and leadership in action. Anthony has it all in spades. It’s always a pleasure to fly with him. This was one more day in the lifetime of learning for an airline pilot. Thanks for a great flight from Dubai to Sydney on the 24th of January. You were a great captain and I remember that you came out of the cockpit to talk to all of us about the A380. 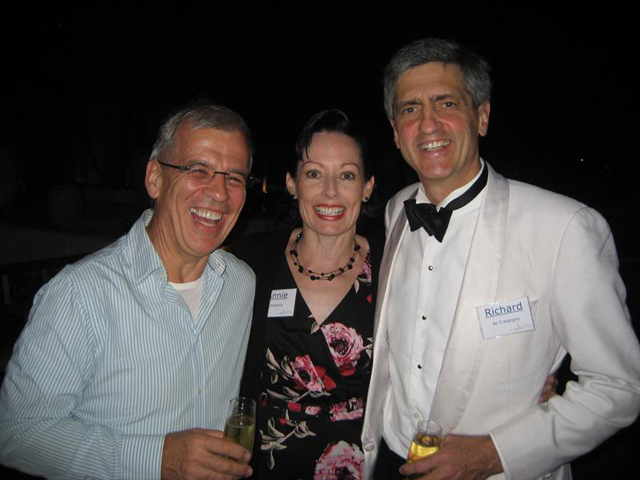 My friend sent me this article on Captain Richard de Crespigny and the QF32 flight from Singapore to Sydney. Hi, Richard, i just have a few questions to ask you about becoming a pilot for qantas. How long does it take to become an a380 pilot, this is my only dream in life to become. i have the passion, determination, and dedication of becoming a pilot, im now in yr 12 and going to apply to a university, and set my way from there of becoming a pilot, and what it actually takes? thnks! I am making a video for a school assignment, and have chosen you as a leader in our society. I would love to know some more information on how you led the team on QF32 and if there was much tension in the cockpit, I have already read the book and absolutely love it. Can’t wait for your next book. Aviation is my passion, and I hope to join the RAAF when I graduate and see where my flying career can take me. Oscar there is more information about Leadership, Teamwork and Human Factors coming out in my next book. The book will unfortunately be too late for your assignment. Thanks for your reply, that’s all fine. I’ll go through the book again and keep looking at the air crash investigations episode to find qualities of leadership, I’m sure you have many. Can’t wait for the next book, keep them coming! I handed in my video today on the sixth anniversary of the flight! I thought this was a pretty nice coincidence. I’d love to show it to you but can’t put it on YouTube as it is under a school licence and has lots of copyrighted material in it. It’s truly amazing what you did on that day six years ago, and I am now convinced you are the role model for my life. I read your book and watched air crash investigation and must say what a saviour you are to all the people on board! I wanted to again thank you and all the onboard crew and support staff on QF010 from London to Melbourne a few days ago. The service, professionalism and general warmth shown by everyone was the highlight of my first international trip, and just when I thought it could not get better you chose to spend some time with me one-on-one which I can say I will never forget (and when I was able to tell my wife during the stop over in Dubai it went a very long way to lifting her concerns). The whole experience has reinforced two of my core beliefs; strength in unity, and it’s not about the destination but the journey. My utmost thanks to you and all crew for a great job and for all the passion and dedication shown. I can say without a doubt I agree with you 100%, the service and experience is the best it’s ever been. It was a privilege to have you as the Captain on QF10 from London to Dubai on Wednesday. Your professionalism and passion for the job really shows with the extra information about the engines and the ailerons. Also taking the time to wander through the cabin during the flight and meet some of the travellers was a really nice touch. Being a descendant of Sir Fergus McMaster, I have always enjoyed the wonderful history associated with QANTAS and we’re lucky to have people like yourself taking us on our journeys across the globe. 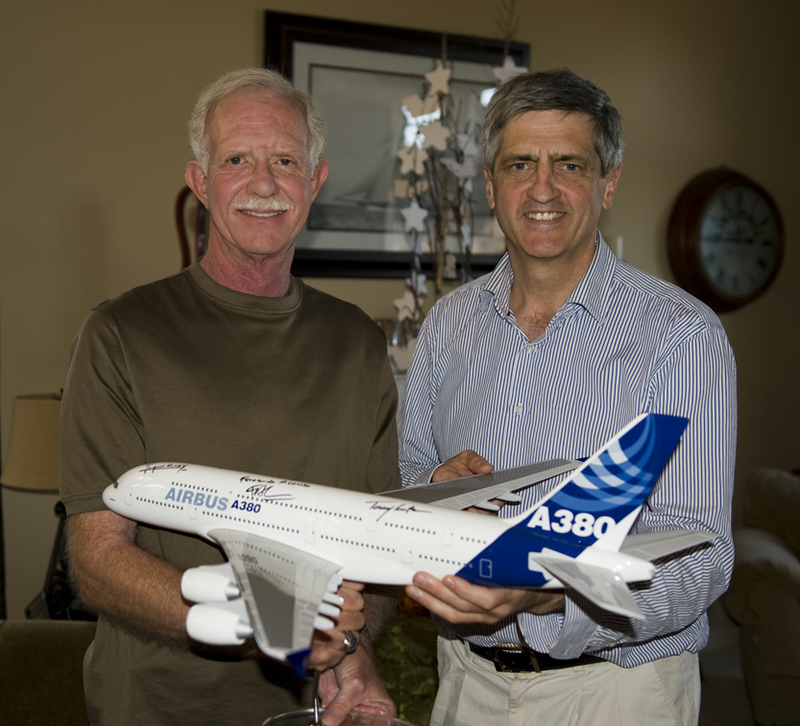 Hi Allan, it was our pleasure to have you on board our great A380 two nights ago. Our fourth A380 (VH-OQD) and the 26th A380 built at Airbus is named “Fergus McMaster” after your ancestor, the founder and first Chairman of Qantas. If he were alive today, Fergus would be proud of the efforts by over 100,000 people who advanced the airline over the past 96 years to its iconic state today. I am very proud of everyone in uniform and in the teams that advance our airline. 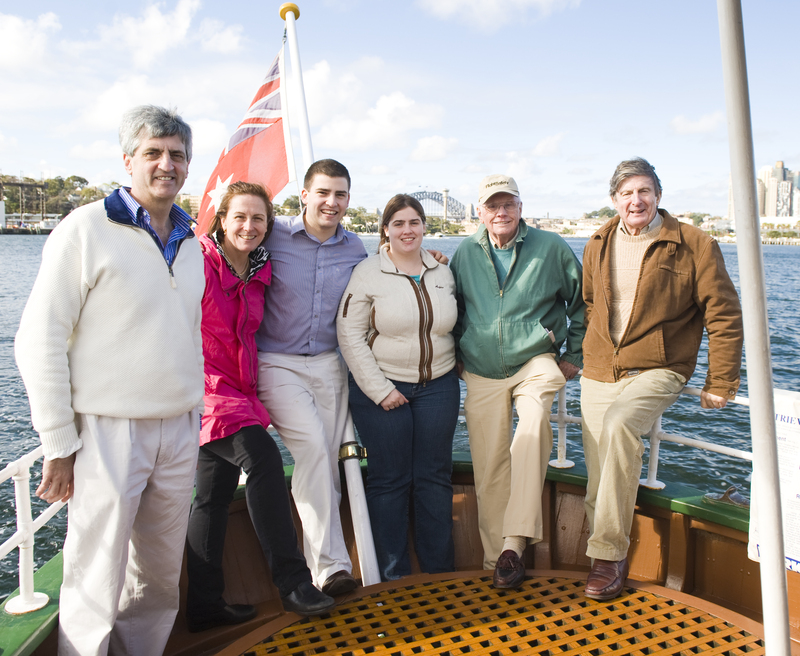 Everything we do is to continue Fergus McMaster’s vision and to keep our passengers safe. The airlines values and customer care have never been better. Heading into the deserts in the 1920s, the first pilots in Fergus’ time sketched their own dynamic maps of toilet paper that they rolled out as the flight progresses. They rolled the toilet paper back up as they reversed their route home. Today between 1 – 1.4 million passengers are airborne in 3,000 Airbus, 3,000 Boeing and 3,000 other commercial aircraft at any time. I am proud to share our family name and history and feel privileged to know what you’ve achieved so bravely – your art and love of flying AND superb technical skill and lateral thinking saved lives and demonstrated how technology alone can’t necessarily ‘save the day’. We all have exciting ancestors. Sir Claude CdeC was a keen aviator. In 1881 while trying to break a balloon world record he instead crashed into a wall breaking his leg (QF32 p 14). This was twenty two years before the Wright brothers took their first flight. Claude was a member of the Royal Aeronautical Society (RAeS). The RAeS celebrates its 150th Anniversary this year. The RAeS was formed in 1866 and held its first meeting in London on the 27th June 1866. The RAeS formed when balloons were the only aerial vehicles. A lot has changed in aeronautics over the last 150 years. As we transitioned from balloons to air then to spacecraft, the opportunities that lay ahead broadened and also our necessity to continue adapting. His Excellency General the Honourable Sir Peter Cosgrove AK MC (Retd), Governor-General of the Commonwealth of Australia will soon host a reception on the occasion of the150th Anniversary of the RAeS. Military, aviation, political and other industry leaders will attend the event. It will be a great opportunity to remember and share the intrepid stories of Claude, his peers and those magnificent men of the RAeS and their flying machines. I’ve diverted from the topic, however your message is a segue to our aviation ancestors and the pride I have for their great achievements. I am a Masters student from the University of New South Wales and I am writing a project on risk management using your QF32 flight as my primary case study. I just wanted to say that I was absolutely astonished with how calm you and your flight crew remained throughout this terrifying ordeal and in awe of your decision to complete risky control checks before you approached Changi Airport in Singapore. It must be some feeling knowing that you played a significant role in saving the lives of 468 people on the plane. Despite the excellent of outcome of landing the plan successfully and getting all the passengers home safely, do you have any recommendations about how such an in-flight situation like this could be managed better from a risk management perspective? I just watched Mayday Air Crash Investigation episode which features Qantas Flight 32 “Titanic in the Sky”. It became very apparent to me that you are not only a talented pilot, but also an exceptional leader. You Sir maintained a calm atmosphere where everyone knew and performed their roles. At one point in the crisis, you re-set the flight deck team to focus on what systems were working rather being focussed on the endless alarms and lists of things that had failed. You also communicated clearly and dealt with the realities but focused on the positives. You managed the risks by making sure others didn’t rush and that they triple-checked all calculations. Because of that proof of leadership, you not only saved 440 passengers and the crew, you showed a great love for flying and that deserves nothing but respect and admiration. Speechless I am for this. I am humbled by your comments, but wish to add that QF32 was a team win. I could never have accomplished all that was done on my own. I owe all the members of the many teams that helped us my highest respect and gratitude. I am proud and honoured to share your praise with them. Hi! and thank you so much for answering. Well yes, it was a team work; of course the rest of the crew were also amazing. Flying that “monster” required not only a brain but more and it the Q32 – 5 brains. I’m doing an undergraduate in law in India. I however aspire to be an aviator. Please advise me as to what career options I have in order to pursue my zeal. Hi Richard, I am 16 years old and I want to become a pilot. What should I do in order to get started? Click here for your checklist for career in the skies. I want to take a moment to say thank you for your kindness the other day when you took me on a long in-flight tour of the A380 (I was the terrified girl with the fear of flying who was on your flight from Dallas to Sydney). You were so sweet and made the flight much more bearable. We fly back home to Sydney tomorrow to the horrendous storm and I am praying your the pilot 😀. Thank you again for everything and all the best to your wife Coral as well. She was a sweetie!!! Relax. You are in safe hands. The pilots know their limits, the A380’s limits and they will have updates on the Sydney weather every 30 minutes from the Bureau of Meteorology and company meteorologists if required. Your crew will divert the aircraft to an airport that has better weather If the weather at Sydney is outside any pilot, company, aircraft or regulatory limit. If the weather and other conditions are safe and inside all limits, then the pilots will probably make an approach. They will always maintain the ability to go around and try again if things get a bit rough. I explained to you during our in-flight tour of the A380 that you can’t pull the wings off modern aircraft in turbulence, that the A380 is incredibly strong, indeed more capable to absorb turbulence than your body. You are always safe if you keep your seat belt fastened. I also explained the fly by wire systems on the A380 and the A380’s “dance of the ailerons” that makes the aircraft so controllable, smooth and resilient. If you are seated near the wing then please watch the “dance of the ailerons” as you come in to land. This will be the best time to view it. This dance is an amazing exhibition of advanced fly-by-wire computers making flight smooth and safe. You’ll be fine Stacie. You now have the knowledge and experience now to understand flight and to know that you are safe. You have confidence in the crews and the aircraft to do the right things. You can now take control of your emotions, and thus keep CALM. Your flight is just another flight to the pilots in my airline. We practice these sorts of approaches regularly. It might be a little more bumpy than normal tomorrow, but you can be confident that you are in the safest hands. Sit back and be sure to watch a few movies to pass the time. I’d be very pleased to have my wife Coral on board your flight again to keep you company. Best Regards Rich and Coral (in London coming home). 2. What were your First Jobs? 2. I had my first job when I was six years old. I cleared tables at the Frying Pan Inn, a small cafe on the snow at the base of the Summit Ski Run at the Falls Creek ski resort in Victoria, Australia. Being a waiter was a tricky job at the age of six as my entire left leg was cast in plaster. I had broken my leg just two hours into the my first day of the first year that I went snow skiing! That year (1963) we were accommodated just 50 metres away from the Frying Pan Inn, in a small apartment that was located on the top floor of the “Power House” building, that housed the motors that powered the Summit and Village T-Bars. Times and attitudes of the 1960s were different to the same today. Mum never objected to my employment as a waiter at the age of six years, probably because she was not told. Mum was otherwise busy at that time back in Melbourne at the Richmond Hospital, giving birth to my brother Christopher. Dad, my brothers and I tried to keep my injury a secret from Mum, however a mischievous nurse in that hospital informed Mum that her third son had recently been a transit visitor in the same hospital’s emergency ward for four hours being treated for a fractured leg, before being whisked away on a four hour drive back to the snow fields. Mum was not amused. Hence my comments at QF32 page 26. Thank you they were very helpful. I hope to be where you are one day. Also, your book is the best book I have ever read. Richard, is becoming a pilot a difficult job? Yes it is very difficult to become a pilot. It is a career and life choice and you have to be prepared to commit your body and soul towards learning for life with the aim to master the profession. You can do it if you are determined. For what reason did Richard fail his flight check? I have just read Richards book. Is he still flying? I am trying my absolute best to excel in my new school and I want to gain employment with the RAAF as a pilot. Is there any advice you can give me to help me cope with the workload? Please click here to see my answers to your questions. Best of luck. Let me know how yours studies progress.